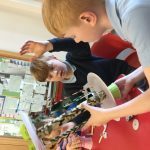 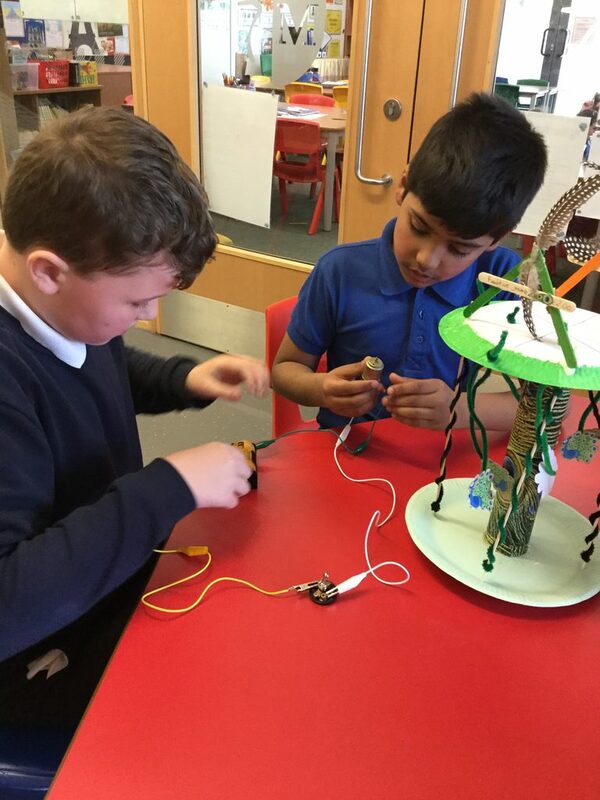 This term in Design Technology Year 4 have been investigating electrical devices and how they work. 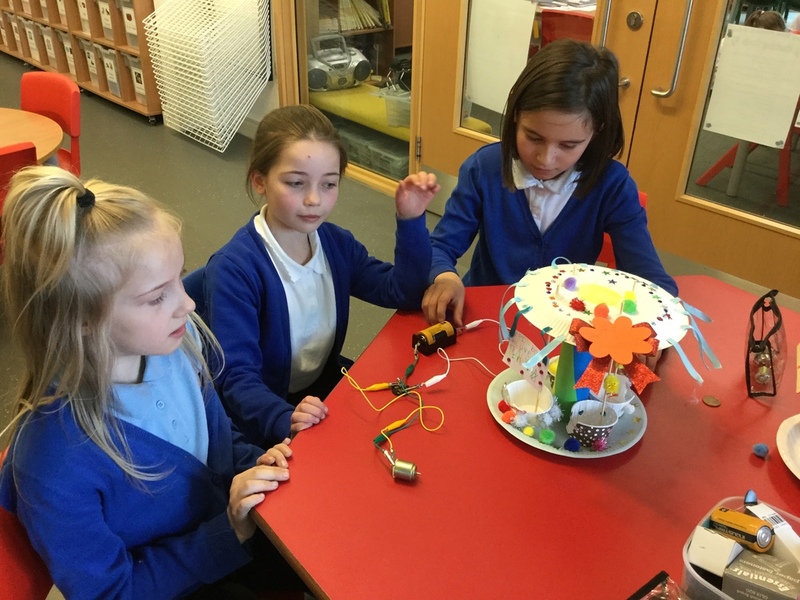 We looked at a range of products from electrical buzzer games to hand held electric fans and investigated how they worked. 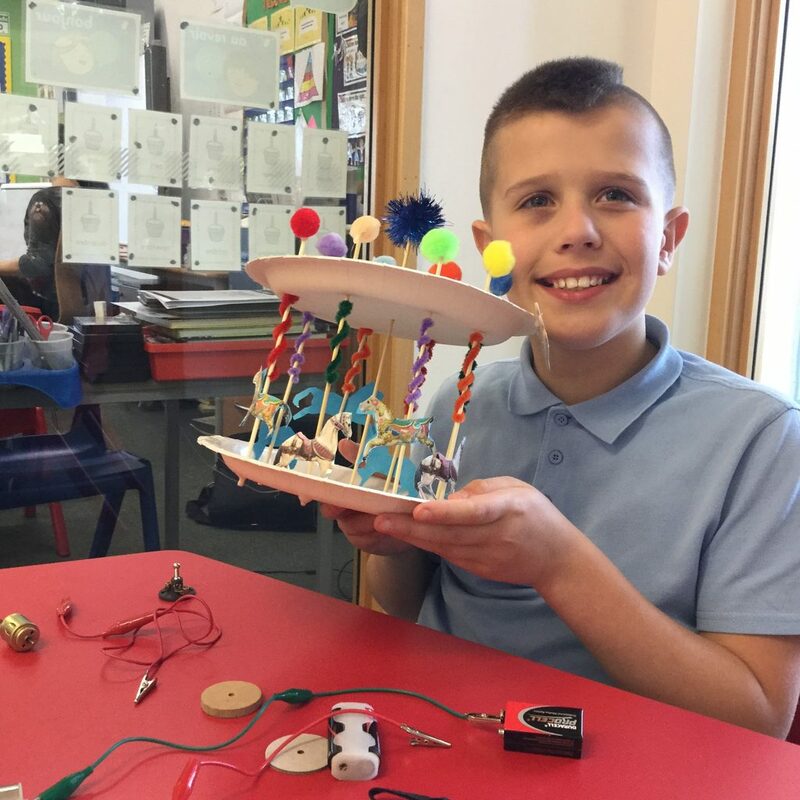 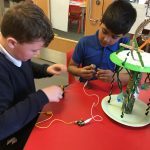 From this, we decided it would be great fun to design an electrical device using a motor and a switch so quickly set to work researching different rides. 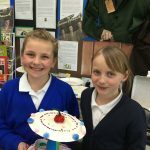 We tested out simple bases for our ride and a paper plate was perfect! 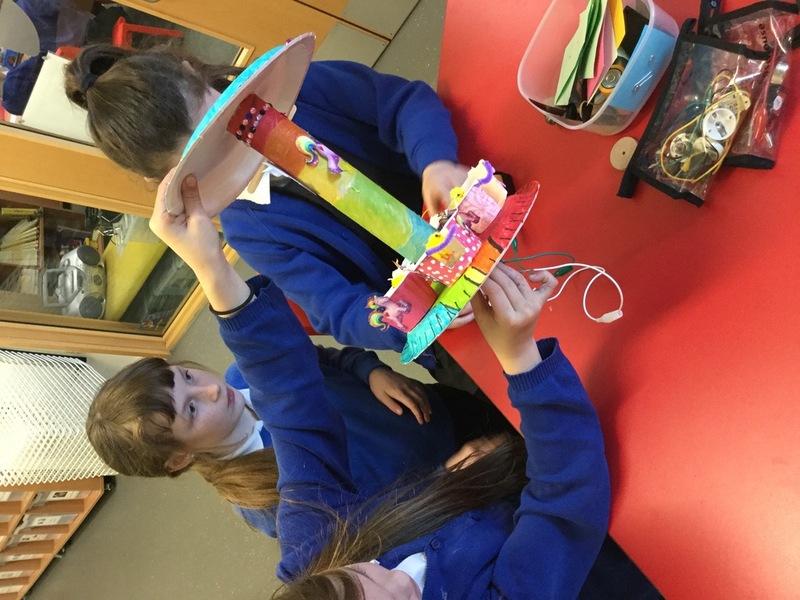 Together in small teams, we followed our brief to design a ride suitable for small children. 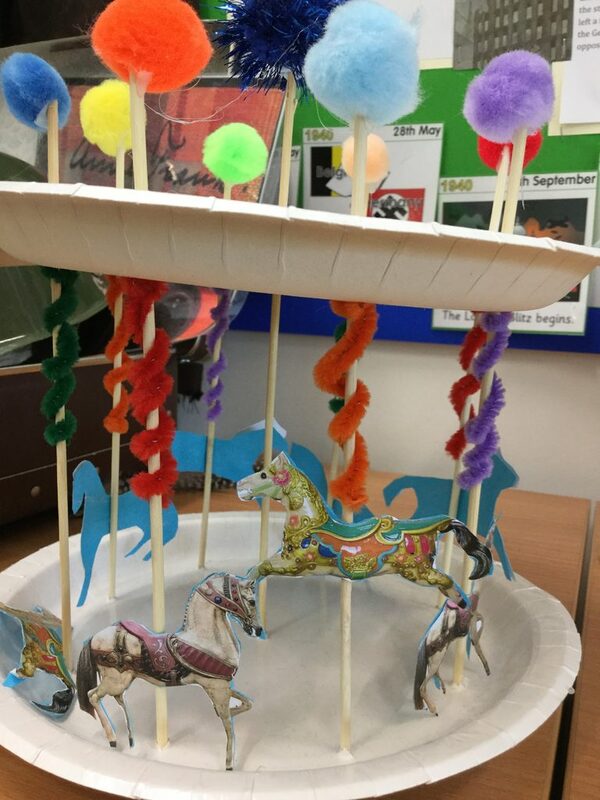 We had unicorns, cupcakes, aeroplanes, horses and many more creative ideas. 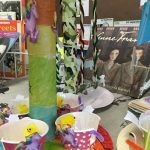 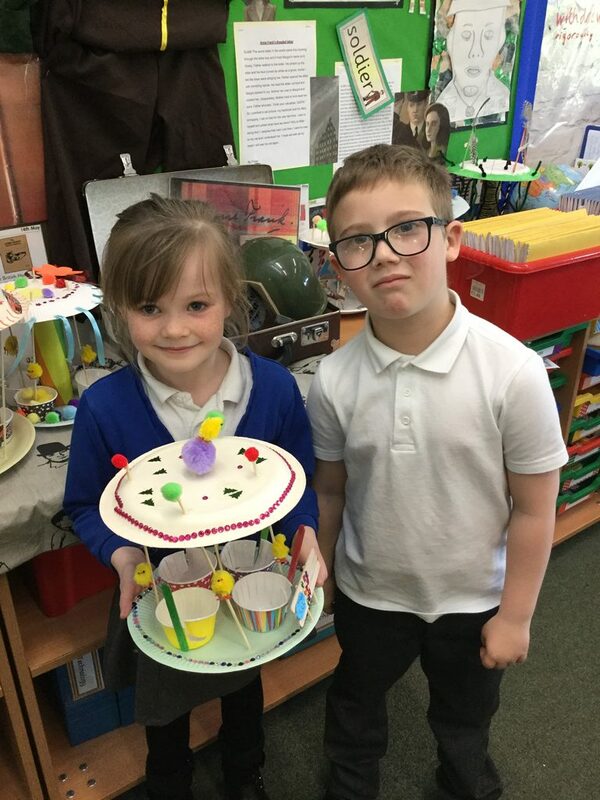 We used a range of materials to make the ride and added various decorations. 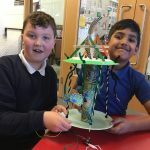 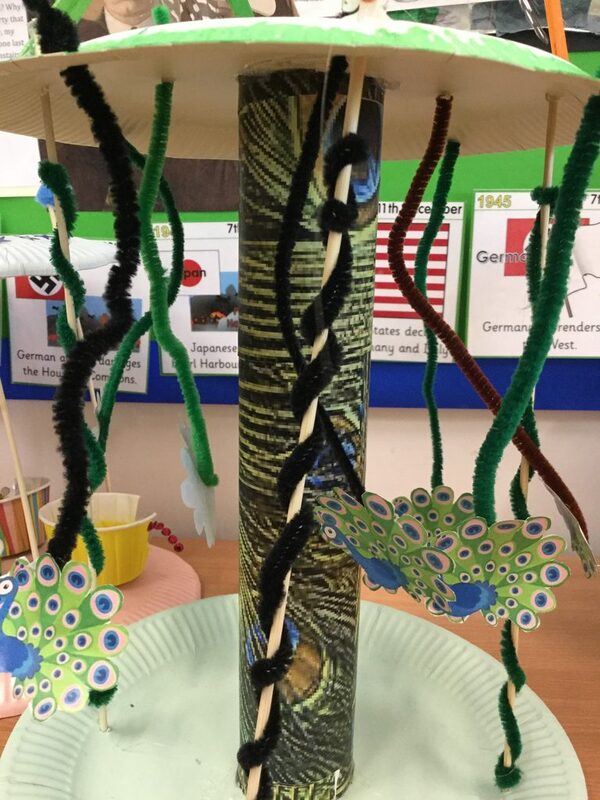 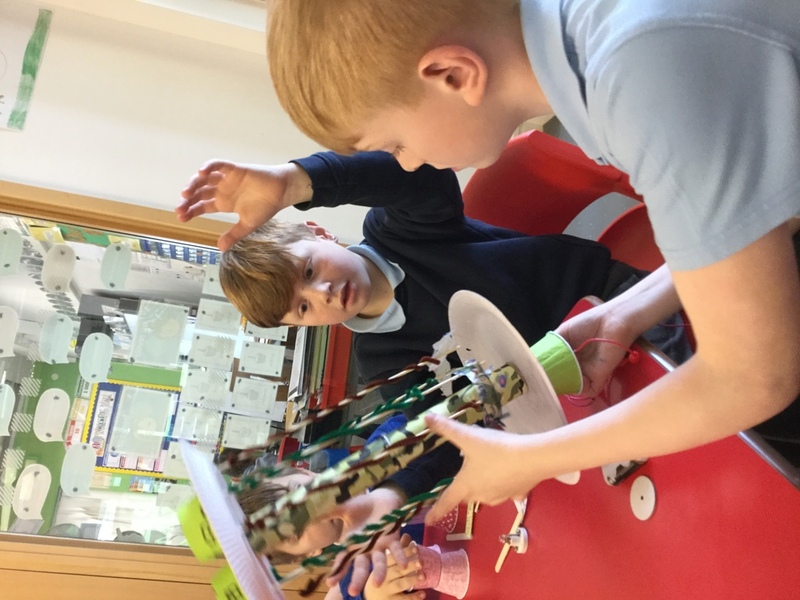 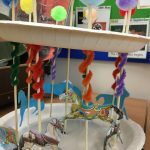 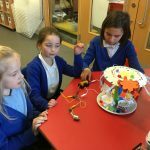 We then attached the electrical circuit and switch but soon realised we had made a design error – the rides were too heavy for the motor to spin effectively! 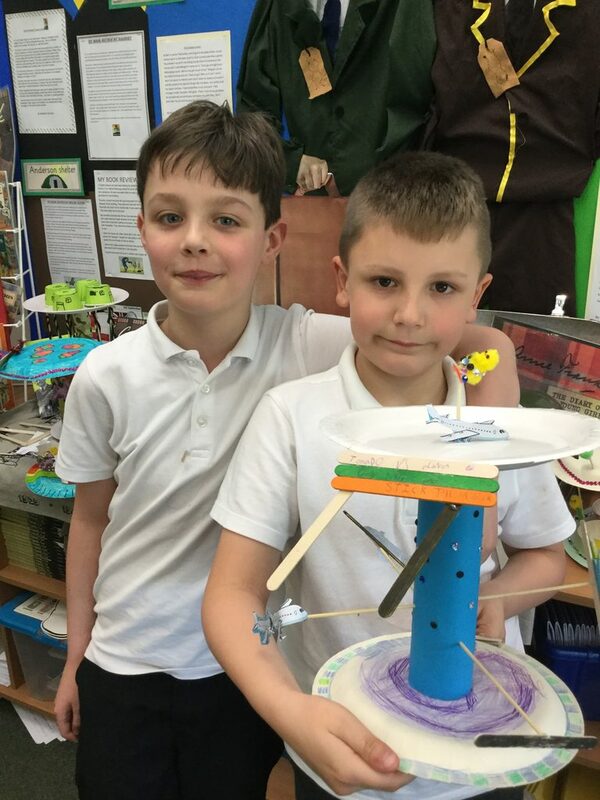 So like all good designers we have each evaluated our product and now need to make final adjustments and Mrs Chapman is currently searching for bigger motors. 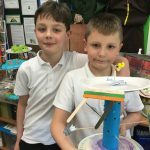 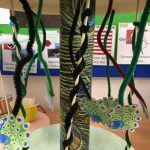 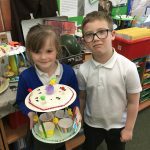 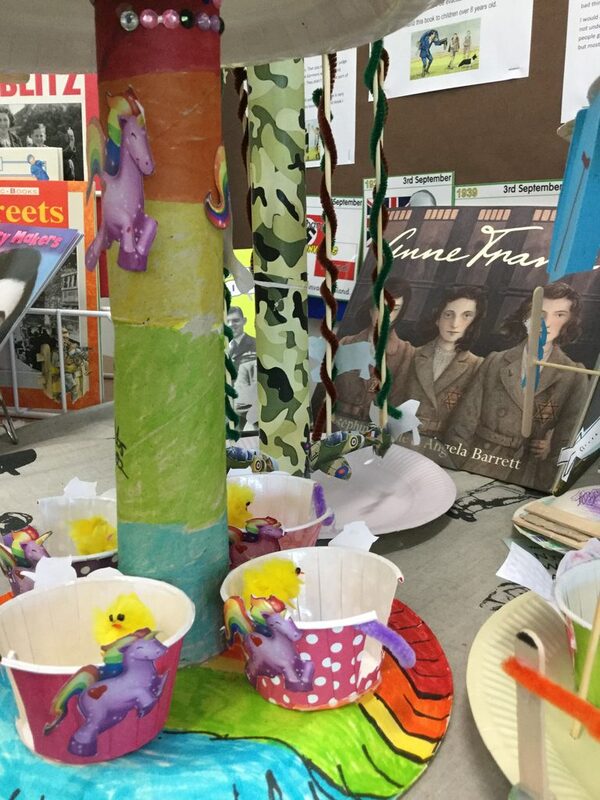 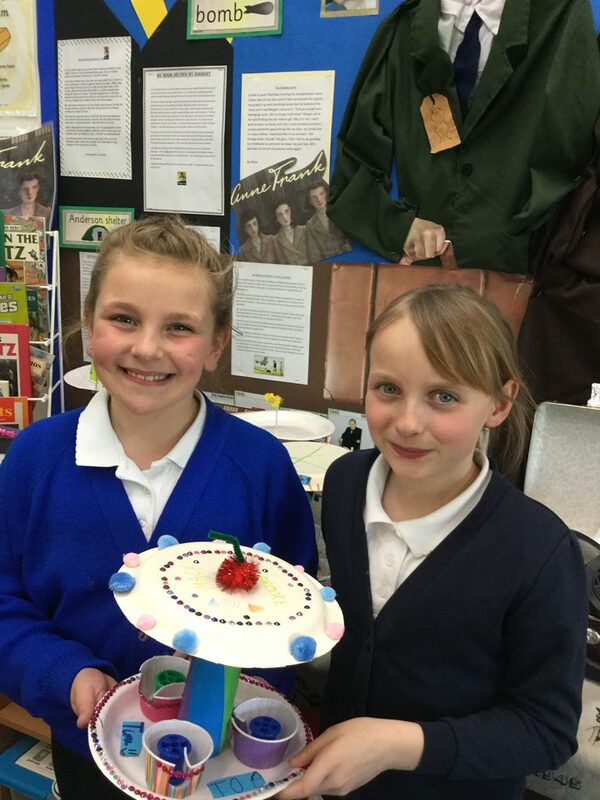 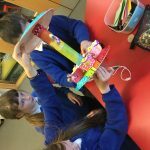 Well done everyone – some super designing but even better discussions based on improvements!